Launch of Columbia on the STS-83 mission April 4, 1997. Reviewing morning messages from Mission Control down in the middeck. Working with Greg Linteris in the Spacelab module. STS-83 crew portrait aboard Columbia. View of Columbia over Pacific Ocean with Baja California on right. View of Lake Nasar with Aswan Dam and Nile River in southern Egypt. 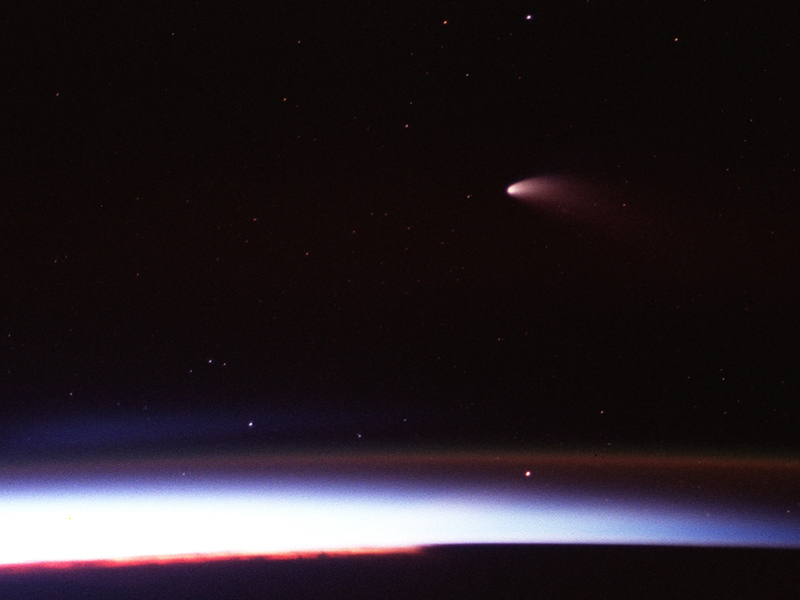 Comet Hale-Bopp as seen from Columbia on April 6, 1997. Landing of Columbia at conclusion of STS-83 mission on April 8, 1997. 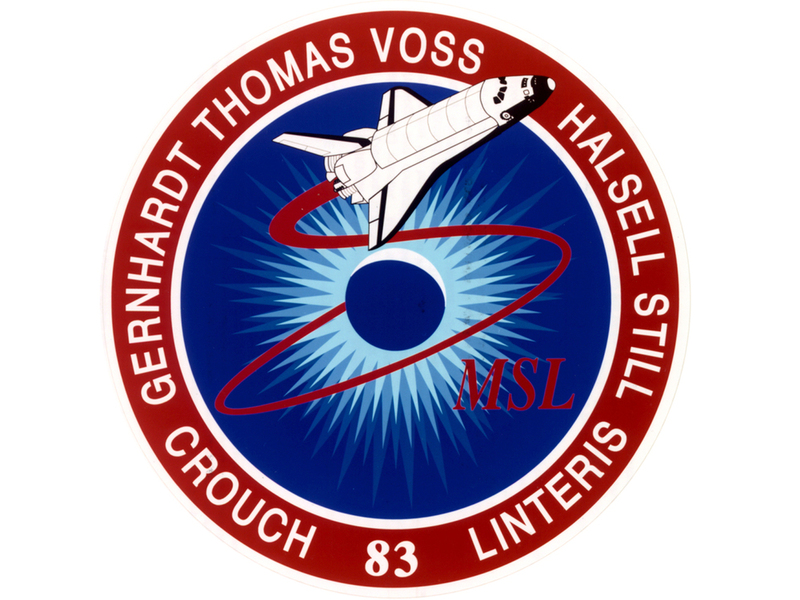 The STS-83 mission was my second flight aboard Columbia and was another dedicated Spacelab science mission which was called “Microgravity Science Laboratory." During our first day in space I was treated to one of the most magnificent sights ever seen from space. As the sun was setting at the end of one of our orbital “days”, I watched the beautiful colors of the sunset turn from blue to orange and red and then to the blackness of space. And then I noticed it. Seemingly hovering above the limb of the Earth was Comet Hale-Bopp. I watched silently as the comet rapidly approached the limb of the Earth and then suddenly saw its bright nucleus and tail disappear. Staring at the pitch-blackness of space I suddenly realized that I had just witnessed my first “comet set”!